Isn’t it time to give your body the rest it deserves…we think so! perfect for your personal sleeping style and habits. 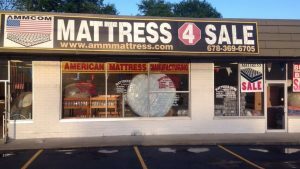 Mattress 4 Sale is a mattress company located in Riverdale Ga. We serve a variety of customers to include hotels, colleges, dealers, dormitories, and truckers. We give quality service with good prices. Please browse our collection and feel free to contact us about ordering any of our products. Thanks and we look forward to serving you!